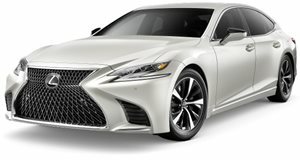 It looks like a Lexus LS with proton pack on its roof, only it's not. Its Luminar LIDAR system has a 200-meter range and can cover the entire 360-degree perimeter around the vehicle, scanning for any potential obstacles. The shorter-range LIDAR sensors are placed on all four sides of the car and can detect low-level and smaller objects like children and roadway debris. The rooftop panel, described by Toyota as “intelligent minimalism,” is actually inspired by off-road motorcycle helmets. It integrates into the available space where the sunroof normally is to keep vehicle height to a minimum. It also has chrome along the side where it meets the roofline, and then swoops down to integrate with the C-pillar. 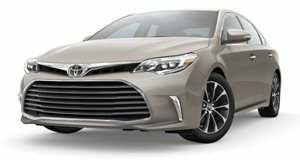 Toyota says Platform 3.0, which can be adapted for a number of vehicle segments, will begin production this spring at low volumes. Some of the test vehicles will come with the dual-cockpit control layout that allows for the transfer of vehicle control between the human test driver and the automated system while maintaining a safety driver as a backup.